WM Security Solutions is privately owned in the state of California. Our corporate headquarters is within Los Angeles County, allowing the managers & supervisors to be immediately available to answer client concerns and resolve problems as they occur. 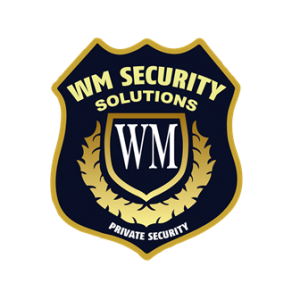 As you will learn more about WM Security Solutions you will understand that we are innovative, aggressive in our attempts to obtain the goals we have defined, always seeking further knowledge, and always challenged. The most important objective for providing successful security is to understand exactly what each client’s requirements and expectations are. 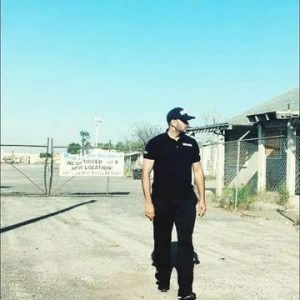 We are then able to station the best qualified Security Officer to fit into that client’s business profile.It is an often quoted maxim at WM Security Solutions that the fundamental key to our business success is our effective and creative management. Through policies and procedures, staff managers must have the ability to lead and formulate a company environment here each employee’s internal motivation can flourish. Our management understands that in order to provide total quality service to your company and all of our clients, we must provide total quality support to our employees. As a service organization, our personnel are well trained, supervised and specifically selected for each client. A challenge to all of us, and one that is met successfully each day. Our major goal is professionalism; our greatest strength is that we are still fundamentally dedicated to reaching it for our clients every employee and every other client. 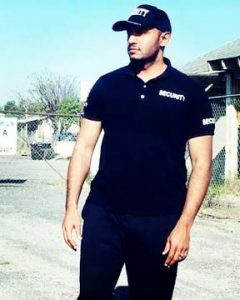 WM Security Solutions is made up of motivated people filled with team spirit, proud of the reputation we’ve earned through our commitment to total customer satisfaction, and living up to our motto: Honor, Integrity & Quality. When a client calls WM Security Solutions (any time of day), they have the option of speaking directly to any member of our company’s supervisory, management, or executive staff. There is always a manager on duty, 24-hours a day, every day. The dispatcher can page or patch your management to an executive or manager, anytime. All managers are required to check their voicemail, even on days off. Through our management’s years of experience, we have developed a supervision program to ensure that our high quality services are delivered with client satisfaction. As part of our commitment to excellent service, our Field Supervisors regularly visit the secured site to ensure you are getting the service you are paying for. Field Supervisors participate in weekly post meetings working closely with post commanders or site supervisors in an open discussion format evaluating level of service. As a result, our security teams develop a greater understanding of each other and account operations developing productive working relations. Our uniformed security officers are outfitted with police-type uniforms. Our corporate general orders, require that our personnel keep their uniforms pressed and clean at all times. Their shoes are polished; military-style and men are clean-shaven with neat haircuts. Our female officers are held to the same standard. We pride ourselves on the appearance of our personnel, as they are representing our agency in your facilities.